From 18.30 onwards, you are invited to join the Small World Foundation in the Chassé Theater in Breda, where the BN/De Stem Development Prize 2009 will be received from Derk Bolt (from the well-known Dutch TV programme “Spoorloos”) on behalf of San Martin de Amacayacu. The prize will be used to finance the construction of 12 small scale family based fish ponds in the community. 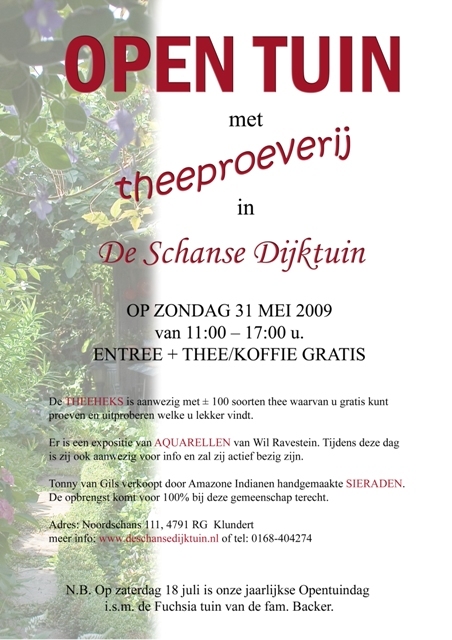 “Open Garden Day”: a nice opportunity!